One of the best vehicle buying experiences I've ever had. My salesman was honest and kept an open line of communication at all times. I told them what I was looking for and they delivered. 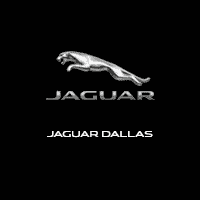 recently purchased a certified pre-own jaguar f-pace at the Jaguar Land Rover DAllas/ Snell Motor Companies Dealership off of N. Central Expressway in Dallas, TX... My salesperson was Alexis Rosado and he was excellent. I already had my mind made up on a particular vehicle and Alexis made it happen. He was very professional and made a great first impression. He was knowledgeable of the vehicle and the way to work all the gadgets that the car offered. He had a great helper name Cole and he was just as great. We had to bring our young son with us because this dealership is 2 hours away from our home and they kept my little 5 year old entertained throughout this process . Alexis talked to and listened to my 5 year old and that made his day and my day , too. This dealership had an awesome costumer service environment and everyone made sure we were taking care of... Even the finance guy , Jeremy Heuss, was terrific... Family friendly dealership with exceptional talent and great sales team and business finance department. I would truly recommend this dealership!! check them out and ask for Alexis Rosado and tell him Ray and Quisha sent you!!!!! Even the BOSS was excellent!!!!! The car fantastic. Financing fantastic. The process dismal. 4 hours to buy a car we paid cash for is outrageous! In the process of shopping for a new Escalade, Alexis Rosado was very responsive and attentive. His timely responses took place via email, phone and text. Although I did not buy a vehicle from him, his attentiveness was admirable. Gracias Alexis! We had the pleasure of dealing with Dillon Harwood this time around. Service was beyond extraordinary. He did everything possible to make the transaction quick and painless. He also found us exactly what we wanted and if it wasn’t in stock he found it. It seems like no matter who you work with they are all there to make the buying process seemless. Thanks again Dillon we are extremely happy!!! !